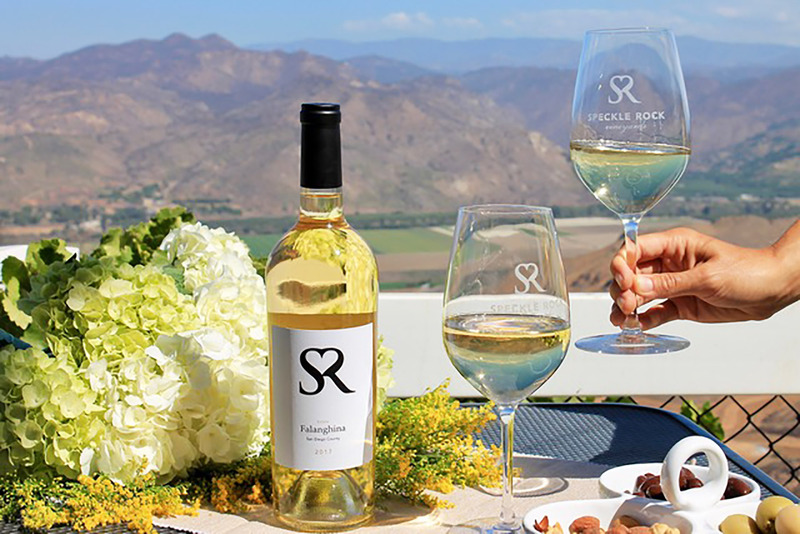 Escondido winery Speckle Rock Vineyards won a gold medal for their 2017 Estate Falanghina at the Toast of the Coast wine competition. Escondido winery Speckle Rock Vineyards won a gold medal for their 2017 Estate Falanghina at The Toast of the Coast wine competition; and Highland Valley Vineyards won a silver for their 2015 Craftsman Cuvee III. In total, 10 winery members from the Ramona Valley Vineyard Association (RVVA) received 22 awards from The Toast of the Coast wine competition where more than 800 wines from throughout California and beyond were judged. This is an indication of the continued success of the relatively new San Diego winemakers to produce wines competitive with well-established wineries.